Today Jelastic Multi-Cloud PaaS launched integration with HTTP/3 ready premium CDN that is packaged for one-click installation on top of customers’ environments in order to ensure lightning-fast performance at global scale. “Performance, speed and scaling are valued by every modern project hosted in the cloud. CDN can reduce latency, accelerate load time, reduce bandwidth consumption, secure websites and block scrapers damaging the servers. So we decided to make enterprise-level CDN available for every customer who runs applications with Jelastic PaaS,” says Ruslan Synytsky, Jelastic CEO and co-founder. 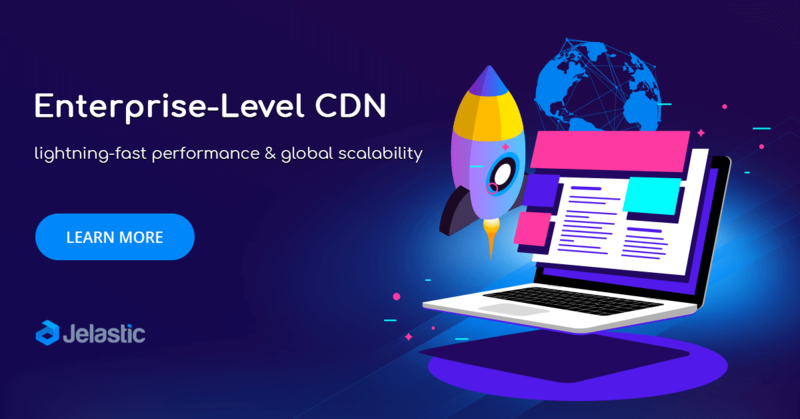 Jelastic CDN add-on is powered by Verizon Edgecast highly interconnected global network of 130+ Super PoPs (points of presence) with bandwidth capacity up to 64 Tbps, advanced caching and acceleration strategies based on best-in-class IP Anycast technology. The customers get premium traffic for the same lowered price across all continents and countries with no surprising bills based on geographic locations. This CDN solution can be automatically installed on any environment within the platform, and provides a set of benefits listed below. Send a request to get the packaged premium CDN with favorable price automatically installed and pre-configured for custom applications.